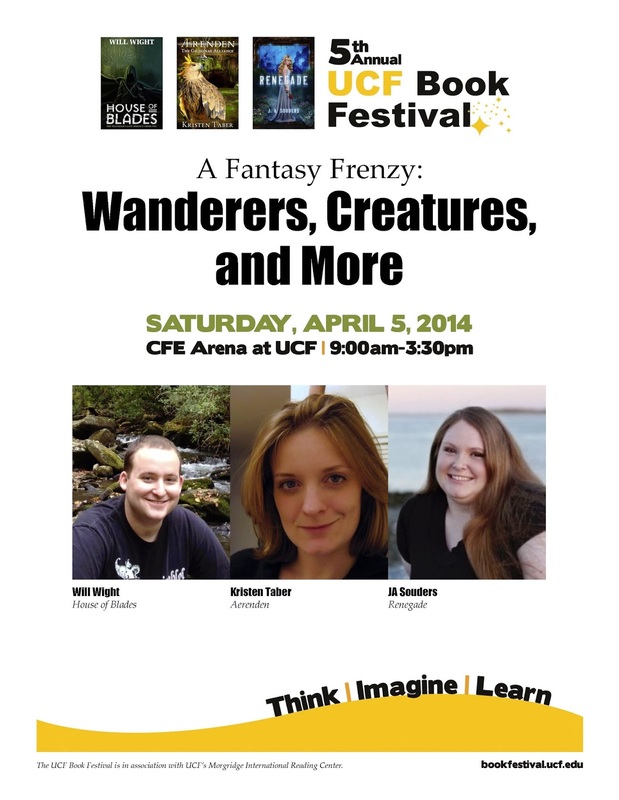 Kristen Taber: UCF Book Festival: Panel Topic Announced! Wanderers, Creatures, and More! Definitely a great Fantasy topic that should leave plenty of room for fun discussions. I can't wait :). What about you? What questions do you want answered by the panel? Ask away and if your question isn't answered on April 5 (or even if it is), I'll post my own answers here the week after the event. And remember, I'll be signing books following the discussion and giving away fantastic swag, such as my limited black book marks and brand new stickers. Be sure to stop by and say HI!